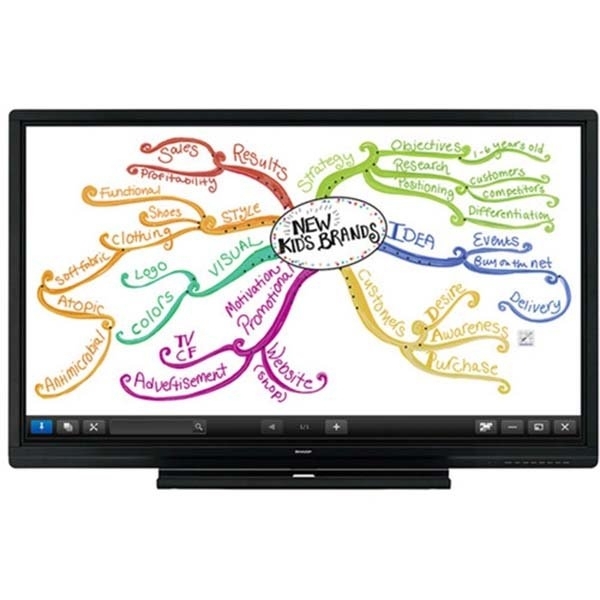 Sharp Aquos Board PN-C805B Interactive Touch Screen is without doubt the best when it comes to bestowing people with the ability to interact, solve problems and augmenting their communication capabilities. 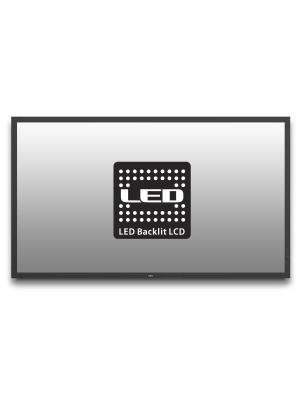 The Aquos Board PN-C805B is a remarkable piece of equipment; this 80” touchscreen display with 1920*1080 HD resolution is powered by edge lit LEDs. It can sense up to 10 distinct touches at a time, which may be by hand or pen. Its large work area and multi-touch capability means that up to 4 individuals may work on it at a time. 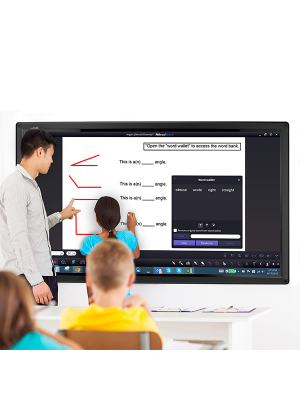 PN-C805B Interactive Touch Screen packs a range of useful software that make collaboration with an audience easier than ever. Whiteboards are meant for brainstorming, which is supported by the Sharp Pen and Sharp Touch Viewer. Both are programs designed to allow users to open and manage a range of file formats including media, PDFs, Office files and web pages. These may be annotated over any way the user wants, and may also be stored or emailed for future use. 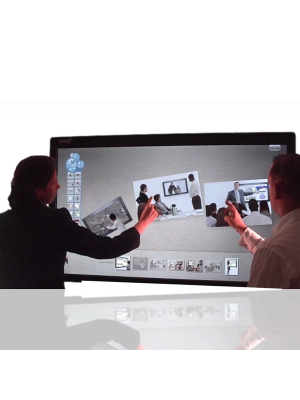 One of the distinct features of this Sharp Interactive Touch Screen is its Display Connect software. This is a function that greatly increases the span of audience one can reach, by allowing screen and file sharing with up to 50 externally connected devices like Smartphones or tablets. Sharp Aquos Board PN-C805B Interactive Touch Screen, with its myriad of facilities, is clearly the perfect solution to optimal communication and productive work routines. With the arrival of smart phones and associated devices, individuals have started to rely heavily on them for day to day communication, interaction and work. In any given setting, whether it is an office environment, a college classroom or a business area, users are always connected to their personal devices with most of their work saved or stored in them. Therefore any interactive medium of instruction must have the ability to connect and share data with users’ personal devices. 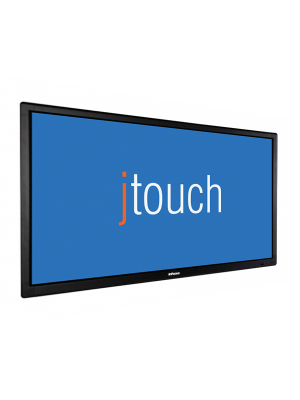 One of the distinct features of this Sharp Interactive Touch Screen is its Display Connect software. This is a function that greatly increases the span of audience one can reach, by allowing screen and file sharing with up to 50 externally connected devices like Smartphones or tablets.PN-L703B AQUOS BOARD has got this aspect covered with its ability to exchange data via wireless LAN with media tablets such as iPad or Android devices. PN-C805B allows better and enhanced visibility to the users via its HD 1920X1080 display. This makes sure that users are always up for a superior image quality. 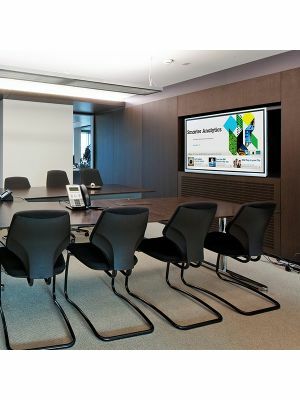 It also ensures that your audience never loses interest during important sessions and presentations. 69 3 /4" x 39 1 /4"
74 1 /8" x 5" x 44 13/16"
Q. Can touch and pen be used at the same time in Sharp Aquos Board PN-C805B? A. Definitely, touch and pen input are dually operated in the system. Q. 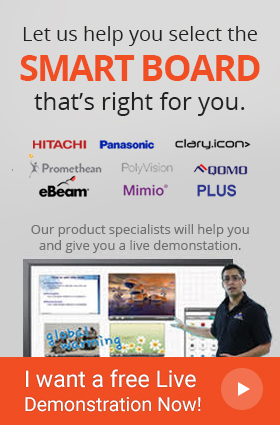 Can I edit models and figures on Sharp Aquos Board PN-C805B Interactive Touch Screen Display? A. Yes, annotating models and figures is pretty easy due to inbuilt software. Q. Is there any input for speakers in Sharp Aquos Board PN-C805B Interactive Touch Screen Display? A. There is just no need for that as the system comes with its own built in powerful speakers. Q. Can fingers be used to erase content in Sharp Aquos Board PN-C805B? A. Yes, Sharp Aquos Board PN-C805B Interactive Touch Screen Display recognizes touch input used to erase content.